The most important day of a couple’s life – their wedding – should be an effortless, seamless and enjoyable experience. Weddings at Resorts World Genting are exactly that, with bridal packages that provide the perfect setting and ceremony that will allow newlywed couples to concentrate on the most important thing - themselves. Resorts World Genting will be showcasing its honed expertise and exceptional packages at the upcoming 19th KLPJ Wedding Fair, to be held starting today until 23 September at the Mid Valley Exhibition Centre, Kuala Lumpur. Wedding packages for 2018 will be presented at the Resorts World Genting at Hall 3, Booth B31, as part of the largest bridal expo in the Klang Valley that regularly attracts over 50,000 attendees a year. As a unique and ideal wedding destination, Resorts World Genting is more than just a venue, but a solution for all bridal considerations. 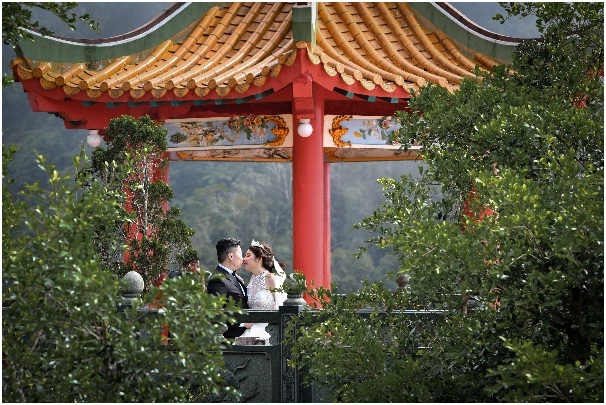 From picture perfect photography locations like Chin Swee Caves Temple Sky Terrace, Genting SkyAvenue Wonderwall, English Garden, Awana Golf Driving Range to carefully curated menus that please all tastes, from the cool weather and beautiful landscapes to the expert event planning team, there is nothing quite like a wedding at this mountain. 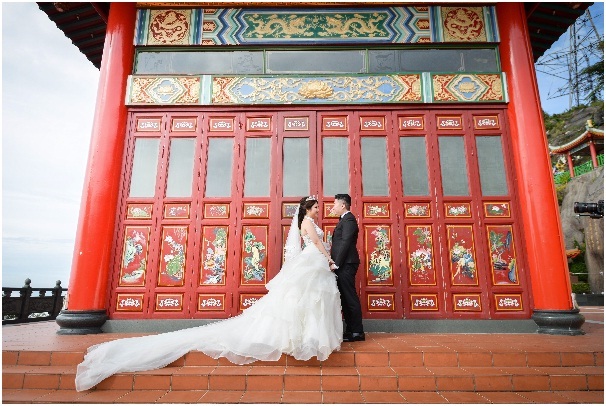 Resorts World Genting wedding packages are priced by different packages. There are 3 Chinese wedding packages ie. Silver (RM1,688 nett per table), Gold (RM2,188 nett per table) and Diamond (RM2,588 nett per table). Malay and Indian wedding packages comes in Dome Set (RM1,688 nett per table) or Buffet (RM2,188 nett per table) with a specially curated Jain Vegetarian Set for Indian wedding packages (RM2,188 nett per table). Alternatively, couples may choose the Western weddings package which offers Buffet style dining option (RM2,588 nett per table) with carving station among others. All packages include the venue usage, wedding set up, amenities, food & beverage menus and accommodation for the happy couple, with some variations depending on the package and a minimum requirement of 20 tables per booking. The venue of choice is the Grand Ballroom of Genting International Convention Centre – the largest column-free hall in Malaysia which can hold up to 1,800 guests banquet-style. 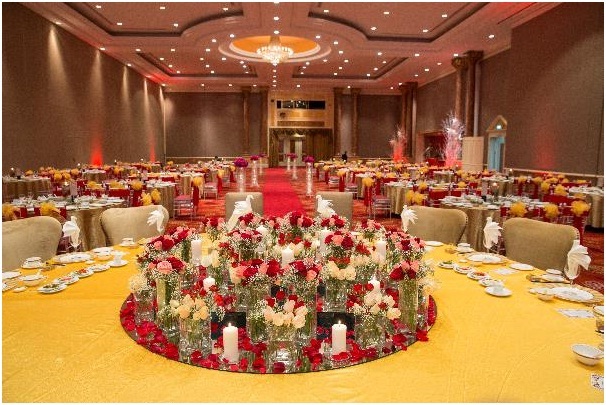 Versatile enough to be transformed into a majestic Chinese hall, a colourful Malay fete or a formal black-tie affair, the ballroom will be decorated with a red carpet, floral arrangements for the VIP and guest tables, as well as an LCD projector and PA system for speeches, videos. Reception space served with chilled juices, finger food and canapés [except for the Silver and the dome set package], as well as mini cake box gifts for all guests. A bottle of sparkling wine will be provided for the celebratory champagne fountain, with a bottle of house wine allocated per table and free corkage on hard liquor for up to 10 bottles. Space for religious rites will also be provided, with the VIP room serving as a stage for pre-wedding rituals. These can include a Chinese Tea Ceremony (where the couple are formally inducted into each other’s families), a Malay Adat Berinai (where the bride-to-be has inai markings inscribed on her hands and arms to indicate a new beginning in life) or a traditional Indian Nalangu Ceremony (where the bridge and groom are purified and cleansed for three days before the wedding). What is a wedding without a feast? 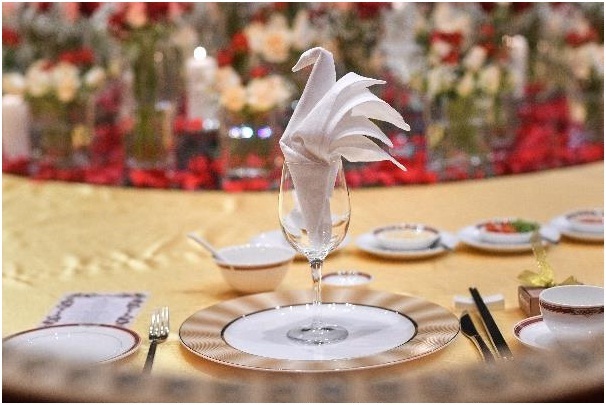 The menus of Resorts World Genting’s wedding packages combine delicious recipes with traditional menus, designed to appeal to Malaysia’s multi-racial population. In Chinese wedding sets, a Four Seasons Combination Platters starts off the 9-course banquet, with the Silver, Gold and Diamond sets including variations on the requisite soup, poultry, fish, seafood and noodle/rice courses – each representing as aspect of a successful marriage, including fidelity, abundance, fertility and longevity. Menus for Malay weddings are a collection of traditional kampong dishes from across Malaysia, with dishes such as Ayam Masak Madu, Daging Masak Hitam, Udang Sambal Petai and Sup Kambing, served with nasi hujan panas or nasi minyak – the staple serving at any Malay kenduri kahwin. Indian wedding menus harness the history and variety of India’s culinary heritage – with curries, grills, fresh salads and breads served either buffet or family-style, emulating the gregarious, social nature of Indian feasts. The Western wedding menu (served buffet-style) is an international assortment of favourites, from Japanese Potato Salad to Tomato Panzanella and Roasted Fillet of Tenderloin to French Macarons. After the banquet and numerous rounds of cheers and congratulations, the happy couple can then enjoy some quiet time together on their first night as a married couple. 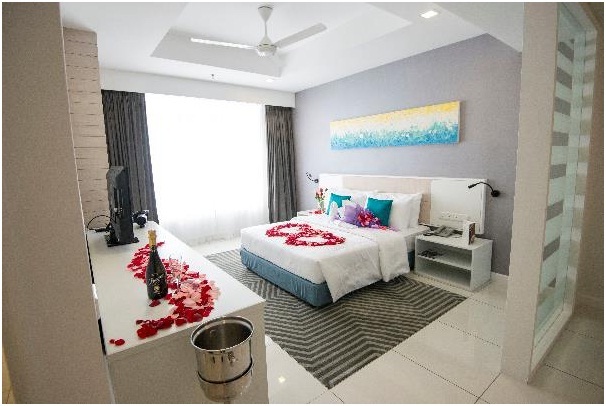 Greeting them as the bridal room in First World Hotel, World Club Room will be a fruit basket, a bottle of sparkling wine and chocolate pralines, as well as a flower bouquet – a token of congratulations from Resorts World Genting to the new husband and wife. Bookings for Resorts World Genting wedding packages are now open. For further details, please visit the Resorts World Genting Booth at the 19th KLPJ Wedding Fair, call +603 23016686 or email to meetings-events@rwgenting.com.